Instructions for phowa, of course there are different kinds of phowa. There is the Dharmakaya phowa, which means if you really can experience the nature of your mind, the experience of the Dharmakaya, and then you remain in that, that is called the Dharmakaya phowa and there is nothing to transfer, there is no way to transfer. When you understand the nature of your mind, there is no need of any phowa in a way, so that’s called the Dharmakaya phowa. And then there is the Sambokhakaya phowa, and Nirmanhakaya phowa. If you are very good at your practices, like deity yoga practices, or if you are very good at certain practices, then that practice itself becomes the phowa. Then there is also this forceful phowa which you practice when you are alive. You visualise the central channel, then inside the central channel you see your consciousness and then you shoot that consciousness up through the central channel and out of your fontanelle, (which is a kind of little small hole at the top of your head) and it enters into the Amitabha that is sitting above your head and becomes one with the mind of Amitabha. Or there are slightly different instructions on this but generally that is the instruction. So when you have practised this a lot in your life then when you die you also just allow and transfer your consciousness out of your body. This is usually what we call phowa and this is done by the person themself, that is the best thing. If the person himself or herself can do that, if that is not possible then somebody, another lama or another person does it for the person, sometimes that can be helpful. 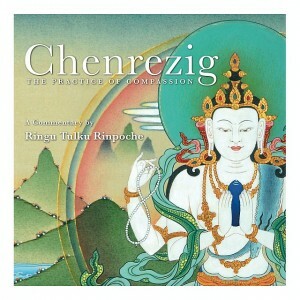 But also there is this phowa of tonglen, the mind training or lojong also has a phowa. Actually any way of allowing your mind or your consciousness not to get caught up, not to grasp, and to remain without too much attachment or fear or aversion but with compassion and understanding, is good. Doing the tonglen, that is also phowa. So we will talk about phowa separately.